From North America, Europe, and Southeast Asia, the images you see on these pages are a result of noted photographer, John Günther’s dedication to the art of image making. John’s images have been described as ‘scenic, tranquil and evocative’. His visual interpretations are the result of decades garnering a clear understanding of natural light and the requisite technical photographic skills … which he feels privileged to share with you. Many of his images are taken at times when others retreat from challenging weather. Darkness, rain, snow, and storms are the elements he finds most intriguing. These special moments continue to refuel his creativity. When John’s not in the field taking images his creative skill set continues to be utilized in his studio, editing and producing personalized fine art prints, many of which are in private collections worldwide. John uses only archival museum grade materials when doing his own mounting and framing of his fine art prints. John is very active in his commitment to sharing his skills and knowledge by conducting sought-after photographic private lessons and workshops, establishing a large and expanding loyal following. 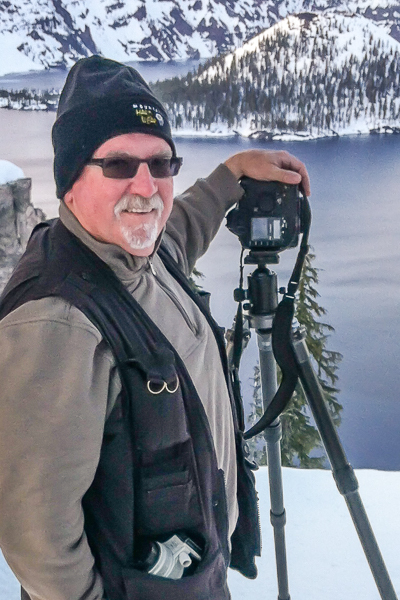 John is former award-winning Group Leader for the North American Nature Photography Association’s “Meetup” events in the San Francisco Bay Area.